Knee Bursitis: What Do You Do For Bursitis? Do you feel frequent knee pain that limits your mobility and prevents you from doing everyday tasks like you used to? If you answered “Yes” then the reason behind your knee pain could be knee bursitis. However, you’re not alone; approximately one in every 32 people has some type of bursitis, which equals about 3.2% of the population of the United States. According to Consumer Health Digest, about 87 million people in the US suffer from some type of bursitis and in this article, we will discuss what knee bursitis is, what causes it, and how to treat it. 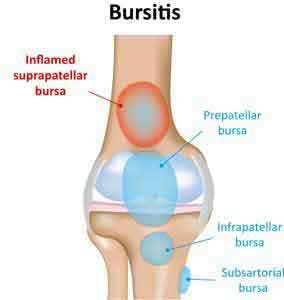 Knee bursitis is defined as inflammation of a bursa that is located near your knee joints. A bursa is a small fluid-filled sac or saclike cavity situated in tissues where friction would otherwise occur. Basically, bursa acts as a tiny cushion which allows the tendon to move over the bone as it contracts and relaxes. Both your knees have 11 bursae. Although any of these bursae can become inflamed, knee bursitis usually occurs over the kneecap or on the inner side of knee right below the joint. Knee bursitis leads to pain and it also can significantly limit your mobility. 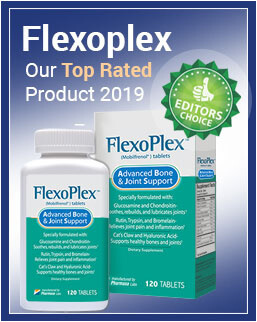 Due to complications from osteoarthritis, rheumatoid arthritis or gout in the knee. Obesity and osteoarthritis – obesity leads to numerous health complications and increase the risk of getting stroke and heart attack, but it can also increase chances of developing this disorder. Anserine bursitis which is a type of knee bursitis that affects the inner side of your knee below the joint often occurs in obese women with osteoarthritis. Excessive kneeling – people whose profession demands work on their knees for a longer period of time are at higher risk of developing knee bursitis. For example, gardeners, carpet layers, plumbers etc. Playing certain sports – sports that result in direct blows and frequent falls on your knees also increase the risk of getting this disorder. For example, wrestling, football and volleyball. Signs and symptoms of knee bursitis may vary and they depend on which bursa is, exactly, affected or what is the cause of inflammation. Generally, the portion of your knee that is affected by this disorder may feel warm, swollen and tender when you form a pressure on it. Furthermore, you might also feel pain when you rest or move. Only in situations when knee bursitis is caused by direct blow on the knee, the symptoms develop rapidly. In most other cases, symptoms develop gradually as knee bursitis is usually a result of repetitive injuries. NOTE: bursa that is located over your kneecap can sometimes become infected and you should call your health care provider when you experience fever coupled with symptoms described above. Carefully moving your knees and legs into different position which will help doctor to determine the range of motion in the knee joint and easily identify the movement associated with the pain you feel. MRIs – they use radio waves and powerful magnetic field in order to produce detailed images of structures in your body. MRI is especially beneficial for visualizing soft tissues like bursae. X-ray – unlike MRIs, X-rays can’t visualize bursae, but they are useful in revealing bone fractures, arthritis, or tumors. Ultrasound – it uses sound waves to produce images in real time which helps your doctor visualize swelling in the affected bursa. Visit Arthro 7 Review: Help to get back into a daily routine activity such as jogging and work out. How is Knee Bursitis Treated? Medications – If the cause of knee bursitis was infection, then your doctor will prescribe antibiotics that will tackle this issue. Physical therapy – If the cause of knee bursitis wasn’t infection, your doctor will recommend physical therapy. Physical therapists or even specialists in sports medicine will help you learn the best exercises to improve your flexibility and strengthen the muscles. Physical therapies are beneficial for relieving the pain and preventing knee bursitis from recurring again. For more severe cases of knee bursitis, doctor may recommend corticosteroid injections and chronic knee bursitis that doesn’t respond to any other treatments is usually resolved by surgery. Elevate the knee – put a pillow under the affected knee, or both knees, to reduce the swelling. Rest – in order to avoid aggravating knee bursitis, stop doing the activity that causes the pain and avoid any movements that increase the intensity of the pain. Apply compression – you can use knee sleeve or compressive wrap to reduce swelling in your knee. Apply ice – you should apply ice pack onto your knee for 20 minutes at a time, a few times a day or you should hold it until your knee is not warm anymore to touch or until the pain goes away. Although knee bursitis can cause uncomfortable feeling and pain that limits your mobility, with adequate treatments it can be successfully resolved. You can also ask fitness trainer to come up with a plan of exercise that you can do in order to recover faster.